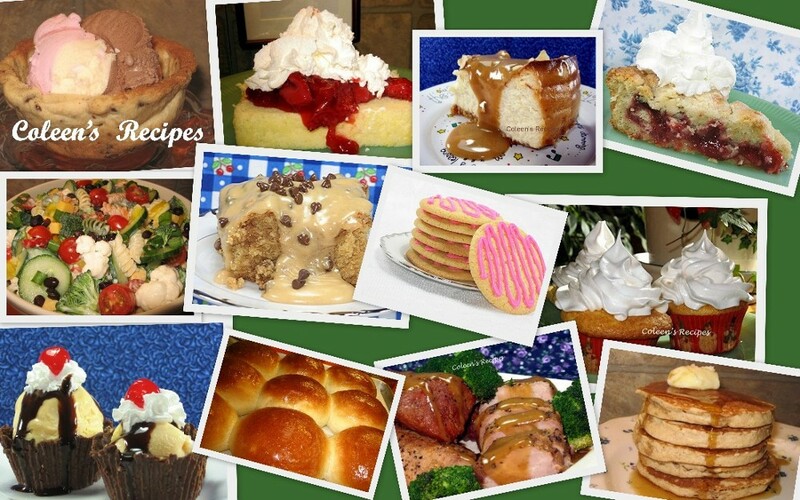 If it is a real Paula Deen recipe, you know it is going to be rich, delicious and decadent. This little recipe certainly fits all three categories. It is quick to fix and it has many possibilities. This time, I served it in little dessert glasses. Next time, I plan on using a 9" x 13" pan (yes, it makes a lot) and stirring in a few chopped strawberries and putting it all on a graham cracker crust. This would be a huge hit at any family gathering or pot luck. In a small bowl, dissolve the gelatin in very hot water; let stand for 10 minutes or until room temperature. 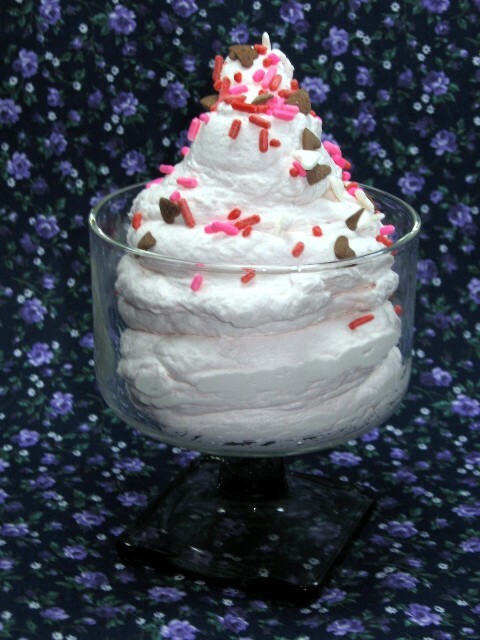 In a large bowl, beat cream at medium-high speed with an electric mixer, until soft peaks form. Gradually add the powdered sugar, beating until stiff peaks form. Whisk in the gelatin and strawberry syrup. Cover and chill for at least 4 hours. NOTE: This makes a lot (at least 8 pretty good sized dessert dishes. NOTE: I think this would be very good frozen as well. NOTE: Because this has gelatin in it, it keeps very well in the fridge for several days. NOTE: I'm sure other flavored syrups would work well in this recipe as well, blueberry sounds pretty good. NOTE: If you lick the beaters right after you stir in the syrup, this dessert is going to taste like it is lacking something...no fear. After the 4 hours, the strawberry syrup mellows and the dessert is very tasty. How lovely and cute and very delicious too. Looks great! Thanks for sharing :) I love Paulas recipes. Love, love, love, your blog. you can tell that you put so much time and effort into it. Thank you so much for sharing with us. Mmmmm! I love your idea of using a graham cracker crust. ok......this is our luncheon dessert. tomorrow i have some ladies coming over and think this would be lovely. I thought that maybe it would have egg whites, but it doesn't! Yay! It looks yummy! coleen, i would love to submit a recipe to you, but not able to access your email. this is an old italian recipe that i remember my grandma making and now my mom and i both make it. great for cold and rainy days with a nice loaf of italian bread. can you send it to jh204@verizon.net? Yum, I love mousse especially ones that are NOT chocolate so this is perfect! I love how sweet and simple this is! Paula Deen knows her desserts! I love how you served this! It's pretty bu i think it would be equally delicious in a graham cracker crust like you suggested. mmm! Chocolate is nice but strawberry is a whole lot nicer!! Love this. And don't you just love how easy it comes together? Adding this to my stash. Thanks Coleen.